Canon will have a few cinema and broadcast announcements ahead of the show. MELVILLE, N.Y., September 12, 2018 – Canon U.S.A. Inc., a leader in digital imaging solutions, today announced the launch of the two new 4K UHD field-zoom lenses, the UHD-DIGISUPER 122 (UJ122x8.2B) and UHD-DIGISUPER 111 (UJ111x8.3B) Super Telephoto Zoom Lenses for broadcast cameras that feature 2/3-inch sensors. Both lenses have the ability to exceed 4K resolution1, providing superb color reproduction from wide end to telephoto end. The UHD-DIGISUPER 122 features a 122x zoom ratio while the UHD-DIGISUPER 111 features a 111x zoom ratio, making both new lenses ideal for sports and live-event productions at stadiums and arenas. Canon’s flagship 4K field-zoom broadcast lens, the UHD-DIGISUPER 122, features the world’s widest angle2 and world’s longest focal length2—8.2 mm at the wide end and 1000 mm at the telephoto end, and the world’s highest zoom ratio2 of 122x. 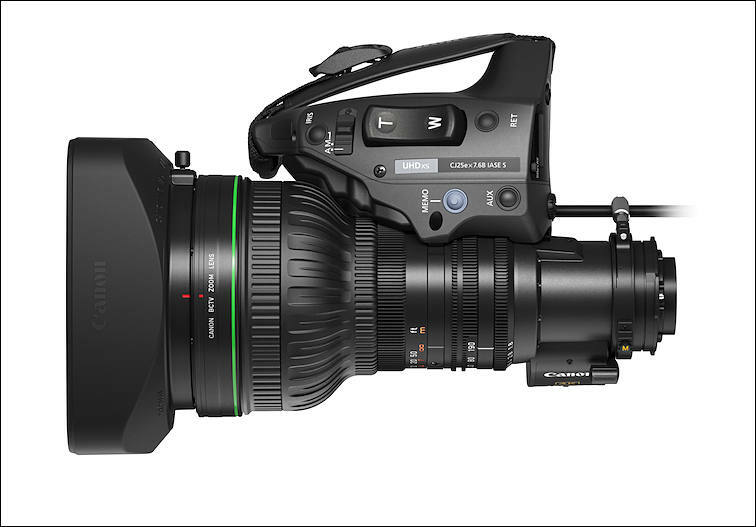 The UHD-DIGISUPER 111 features a 111x zoom ratio and a focal-length range of 8.3 mm to 925 mm. Both new lenses deliver the ability to record high-resolution and high-contrast video from the center to peripheral areas of the imaging field. Additionally, both lenses are the first Canon 4K field zoom lenses to feature Canon’s proprietary Air Sphere Coating (ASC) 3, resulting in reduced flaring and ghosting compared to previous lens coatings. ASC coating enhances both the High Dynamic Range (HDR) 4 and Wide Color Gamut (WCG) of the lenses, providing more natural and vivid tonality, which is becoming more in-demand for broadcast productions. Both lenses adopt Canon’s proprietary shift-type optical image stabilization mechanism that realizes a high-suppression rate in wide frequency bands and leads to smooth images. Very little image fluctuation is seen even during high-frequency vibrations. Long-zoom field lenses are used at major concerts and events, creating visual effects that can enhance story-telling. In anticipation of this continuing trend, Canon is introducing a new operational control in these two new field lenses named “Bokeh Effect” 5. “Bokeh Effect”, which is produced by a lens, is defined as the aesthetic quality of the blur in the out-of-focus parts of an image. Canon is also pleased to announce new upcoming optional lens accessories 6, allowing focus and zoom to be adjusted with high precision when shooting in 4K at wide focal lengths. The Canon UHD-DIGISUPER 122 (UJ122x8.2B) is scheduled to be available in the spring of 2019*. The Canon UHD-DIGISUPER 111 (UJ111x8.3B) is scheduled to be available in the beginning of 2019*. For more information, please visit www.usa.canon.com/. 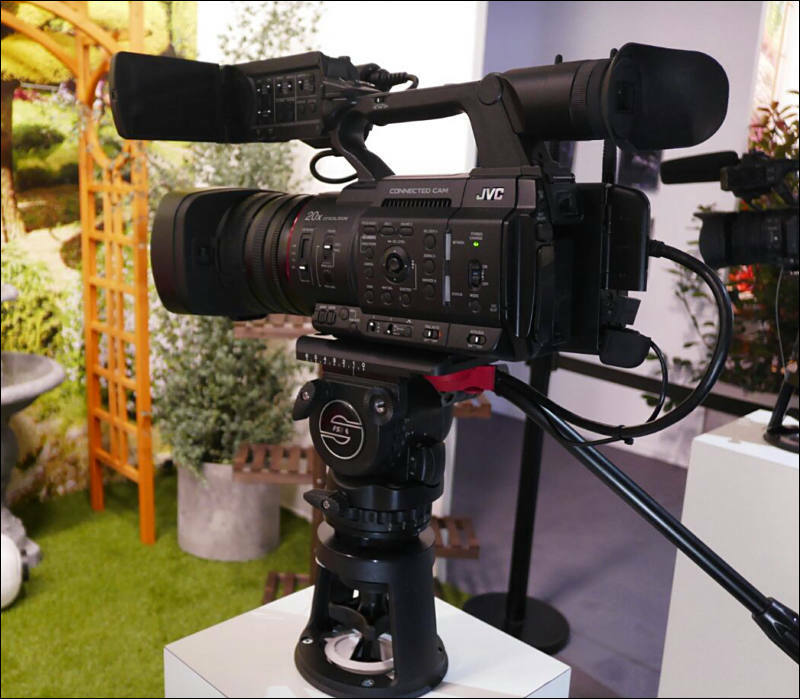 MELVILLE, N.Y., September 12, 2018 – Canon U.S.A. Inc., a leader in digital imaging solutions, today announced an addition to its UHDxs series of portable-zoom lenses designed for 2/3 inch sensor 4K broadcast cameras, the CJ25ex7.6B. Featuring a 25x zoom ratio and a focal length ranging from 7.6mm to 190mm, this new portable zoom lens provides users with high-level operational control and the freedom to easily maneuver, making it an ideal lens for a wide-range of applications—both indoors and outdoors. Adopting fluorite and Ultra-low Dispersion (UD) glass, and proprietary optical design that places these materials in optimal positions, the CJ25ex7.6B suppresses chromatic aberrations from the center to the periphery of the image across the entire zoom range and achieves high resolution and high contrast for high-resolution video capture. Through lens coating technology and a design that prevents reflections within the lens barrel, the lens reduces ghosting and flaring, and produces color reproduction ideal for High Dynamic Range (HDR) and Wide Color Gamut(WCG). The new lens weighs approximately 4.4 pounds and measures 169.6mm (width) x 114.1mm (height) x 223.3mm (length), making it an excellent option for news reporting and documentary production. The Canon CJ25ex7.6B IRSE S, a manual focus-type model, and CJ25ex7.6B IASE S, featuring an internal focusing motor are scheduled to be available in the spring of 2019*. For more information please visit www.usa.canon.com/. Adobe today unveiled new video features coming to Adobe Creative Cloud that will speed up production timelines, enable more seamless workflows and deliver powerful capabilities to bring filmmakers' and video professionals' creative vision to life. 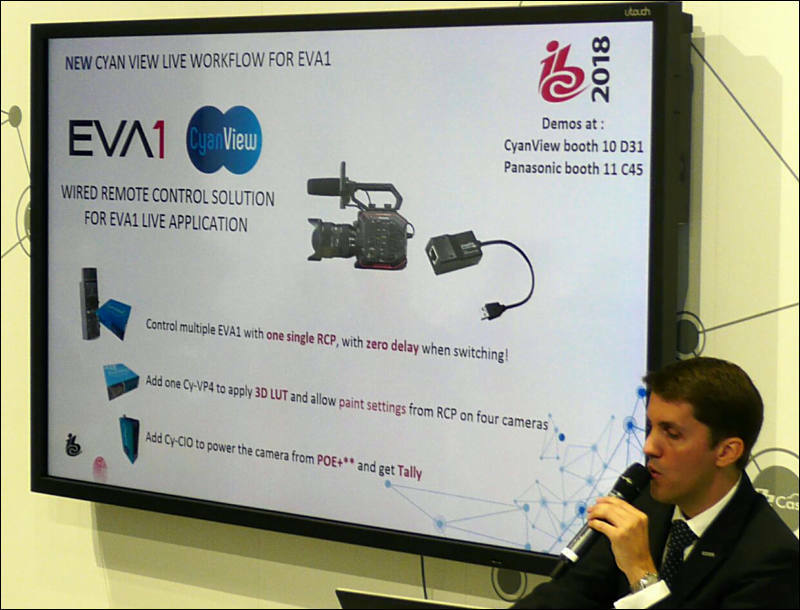 The updates include Adobe Sensei-powered animation, intelligent audio cleanup tools, selective colour grading, advanced data-driven motion graphics templates and end-to-end VR 180 support. These new features will enable filmmakers and video professionals to spend more time shaping their next creative project and less time on repetitive editing tasks. Adobe's Premiere Pro, After Effects, and other Creative Cloud apps are behind some of the most cutting-edge work in Hollywood over the last year, including series such as Atlanta, Stranger Things, andMINDHUNTER, documentaries like RBG, Unbanned and Wild Wild Country; music videos such as Childish Gambino's This Is America and Jason Mraz's Have It All; as well as upcoming feature filmsSearching, The Ballad of Buster Scruggs and THE OLD MAN & THE GUN. "Video professionals face short deadlines, clunky handoffs and long lists of deliverables," said Steve Warner, vice president of digital video and audio at Adobe. "This latest Creative Cloud release introduces new innovation and capabilities to address these challenges and make common tasks faster and easier." These updates follow Adobe's recent unveil of Project Rush, the first all-in-one, cross-device video editing app designed specifically for online content creators. Project Rush delivers a streamlined and intuitive user experience that makes creating and sharing online content easier than ever by harnessing the power of Premiere Pro and After Effects, and Project Rush projects are seamlessly opened in Premiere Pro. Currently in beta, Project Rush will be available later this year. Explore new ways to animate -- Mold layers into new, dynamic shapes with new Mesh Sculpting tools that twist, bend and scale under your creative control in After Effects. Leveraging artificial intelligence and machine learning technology in Adobe Sensei, instantly create and animate unique, stylised puppets using a webcam and reference artwork with Character Animator's newCharacteriser. Sound better -- Instantly improve audio with intelligent clean up tools, DeNoise and DeReverb, in the Essential Sound panel in Adobe Audition. Dial down or remove background noise and reverb from a sound clip that's been intelligently adjusted by adaptive algorithms. Take control of colour -- Take the guesswork out of curve adjustments and bring simplicity and precision to selective colour grading and colour management with new Lumetri Colour tools in Premiere Pro and After Effects. Turn data into stories -- Drag and drop spreadsheet files to Motion Graphics templates to generate visual representations of information within video projects using data-driven infographics in Premiere Pro. Jump into immersive video -- Add new support features for 180-degree immersive video in Premiere Pro and After Effects, including optimised ingest, effects and output in Google VR 180 for viewing on YouTube or other platforms. Collaborate seamlessly -- Invite groups and individual collaborators for Team Projects and easily access team members from your enterprise address book to choose collaborators and save groups. Improve Adobe Stock workflows -- Search and sort millions of curated, contemporary 4K and HD cinematic footage and professionally-designed Motion Graphics templates, right from the Essential Graphics panel in Premiere Pro and After Effects. 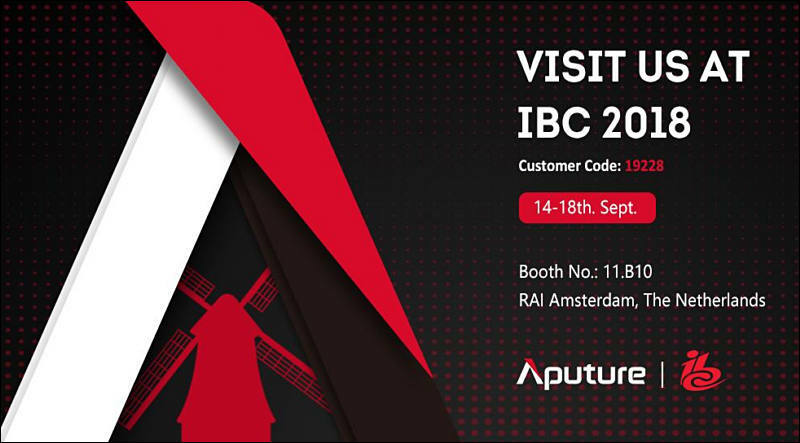 Attendees at this year's IBC conference can get a closer look at the newly revealed features and hear from industry experts at the Adobe booth (#7.B35, Hall 7, RAI Amsterdam) and at over 100 partnerbooths from September 13 - 18. Tune-in to Facebook Live with Jason Levine on September 13 at 5pm BST to hear about the upcoming release. 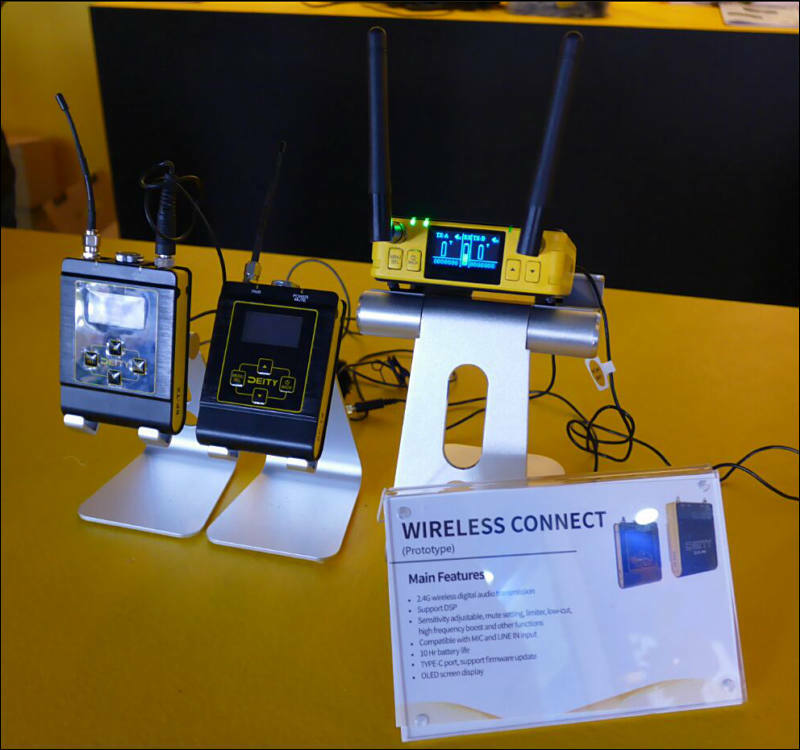 September 14, 2018 — Zaxcom, a leader in innovative audio technology for sound recordists in film, television broadcast, live performance and post-production, will demonstrate its new internal ZaxNet™ transmitter for Deva 24 at IBC 2018 (Hall 12, Stand E33). The Irix EDGE family of products that previously contained ND filters with different densities, UV filters and polarizing filters, is now expanding with a new long-awaited member to the group consisting of 100mm square system filters. 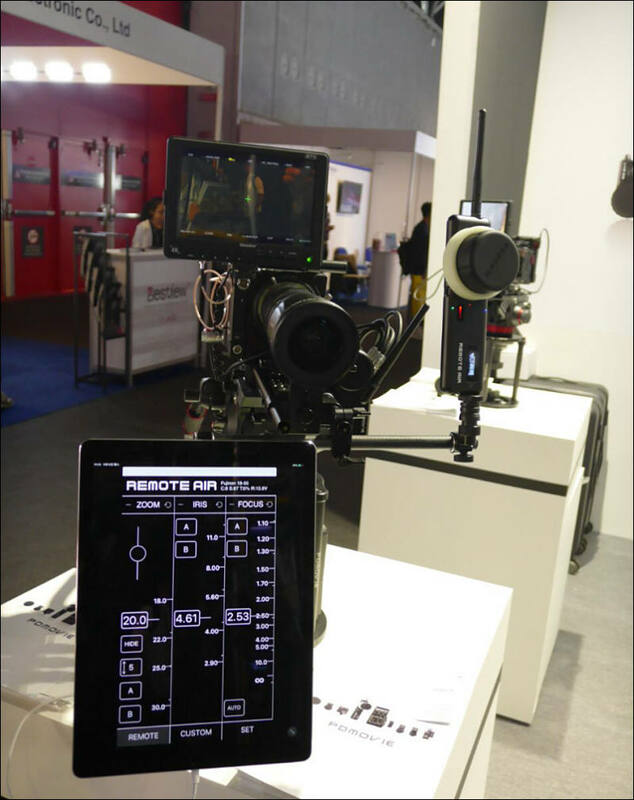 The base of the new system is Irix EDGE IFH-100 holder, lightest and thinnest in its class designed for 100mm filter systems. The construction is made of aluminium alloy which guarantees a construction of high strength and rigidity. This allows an extremely compact size while maintaining a wide functionality, as well as an aesthetic appearance that matches the rest of Irix products. The bracket can be mounted onto lenses with thread diameters from 52mm to 95mm, using adapter screws which are then fitted into the threads on the lens. 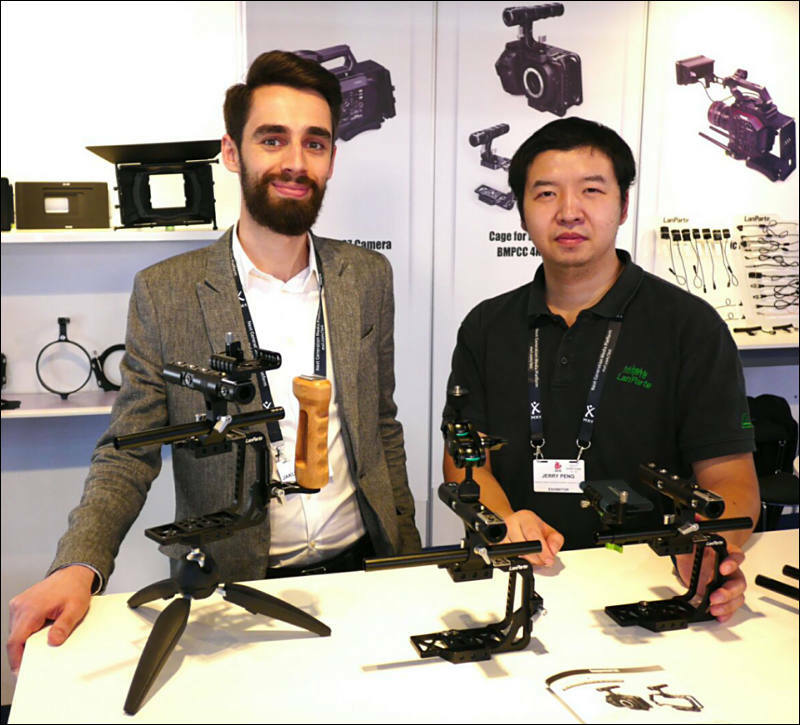 In addition, for Irix 15mm lenses, a special bayonet adapter has been developed which allows the lenses to be mounted identically on the the lens hood mount. The Irix Edge IFH-100 allows you to use two filters simultaneously without the vignetting effect. The design of the filter holder base is equipped with a latch that allows fast and easy attachment of the holder to the lens and allows free rotation to adjust the filter position to the scene for best capture. The mounted holder still allows the use of the lid for protecting the lens. Irix square filters have standard 2mm thickness and are made of high-quality optical glass, which is also used for the production of optical elements in the lenses. Our filters are characterized by the highest precision and optical quality available and so are able to meet the excellence expected by the highest quality lenses. The filters will be available in two standard formats, 100x150 and 100x100. The first, size 100 x 150, will contain gradual filters with a soft and hard transition, as well as an Reverse Gradual filter for taking pictures of sunrises and sunsets. The second consists of 100 x 100 full-ND filters, with the entire surface being responsible for light reduction. The filters were applied to both sides of NANO hydrophobic and oleophobic coatings, as well as anti-reflective multi-coatings, in order to preserve the high contrast and natural colours in the pictures. Thanks to the hydrophobic coating, the filter surface is easy to clean and facilitates the use of filters in difficult weather conditions. Filters and holder are covered by a five-year warranty for mechanical components and the antireflective layer. Each filter is packaged in a practical case that protects the entire surface of the filter against external elements, and is equipped with a magnetic latch that protects the case from particles getting inside, which can scratch the filter. 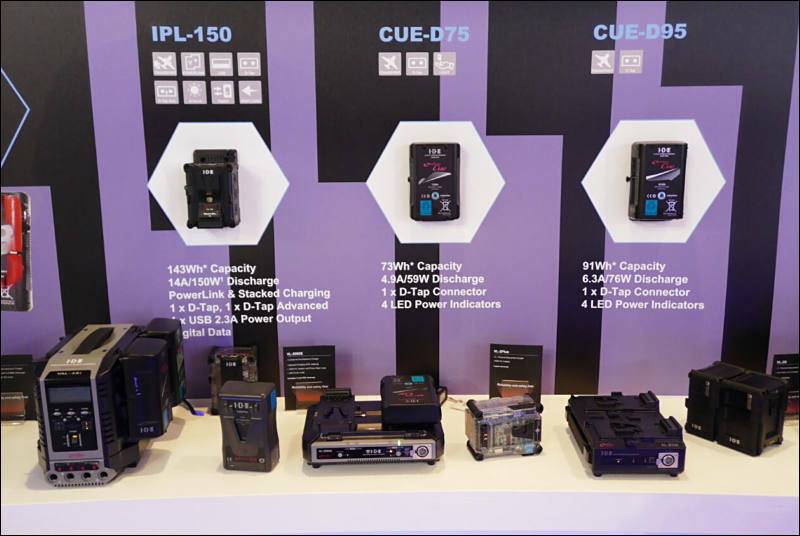 Irix EDGE family will be constantly growing. The nearest premiere expected - Irix EDGE full ND 100x100mm filters. For the premiere the first 300 orders will receive a gift in the form of an Irix Edge Square Filter Protector Set. It is made of a light-absorbing black material which also suppresses shocks, and prevents light from seeping through the filter edges. This improves contrast and prevents any flaring or the formation of flares. BlackMagic Raw - solution to everything? That Panny presentation looked downright depressing.